Texas-El Paso’s Dana Dimel is a head coach for the first time in 16 years. 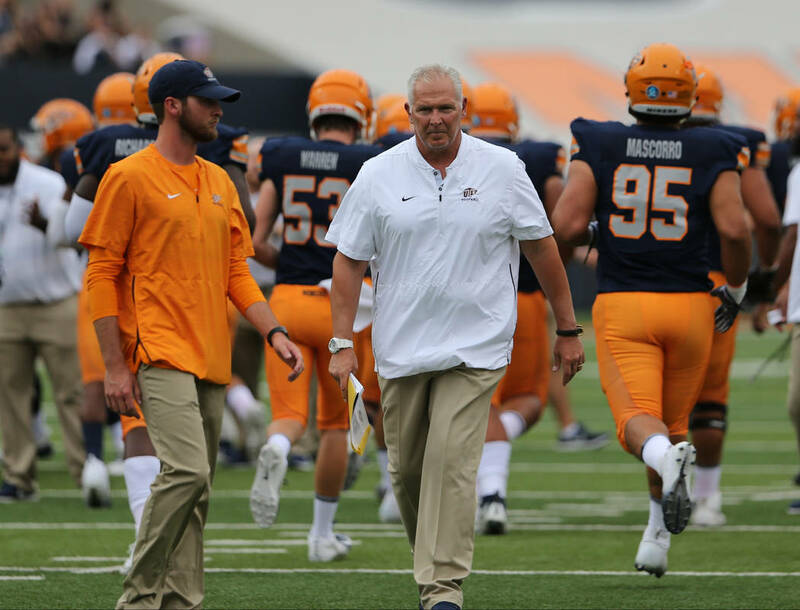 He has a history of helping turn around football programs and hopes to apply that experience to the Miners. Dana Dimel is in his first season coaching Texas-El Paso. 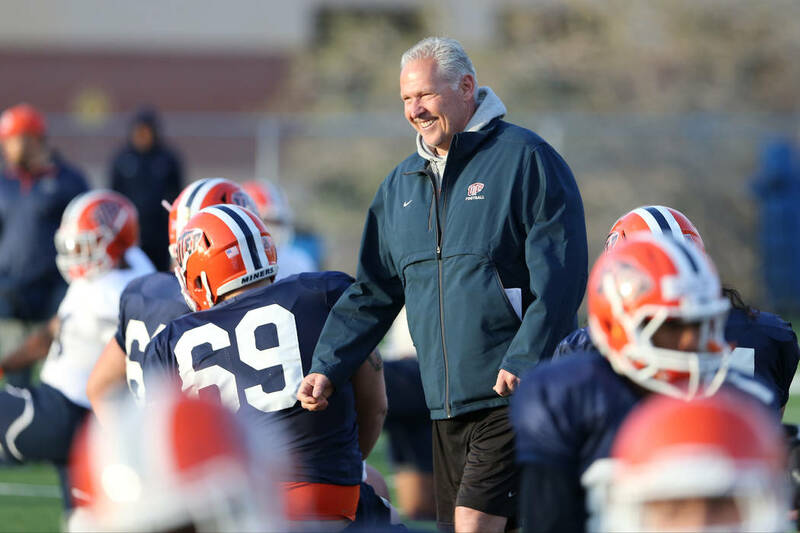 Photo courtesy of UTEP Athletics. The way Dana Dimel’s last head coaching stint ended left such a sour taste that he couldn’t even think of running another program. But as his children grew older and eventually graduated from college, Dimel began to wonder what it would be like to get another chance. And he knew something about reclamation projects. He was integral to perhaps the biggest in college football history, roaming the sidelines with coach Bill Snyder at Kansas State. He also had success on his own as a head coach at Wyoming and Houston. So when Texas-El Paso offered him the position in December, ending the 16-year wait between head coaching jobs made sense. “That was kind of a really good fit for me for where I am in my career right now and a challenge that I thought I was qualified to take on just from past experiences,” said Dimel, whose Miners play UNLV at 6 p.m. Saturday at Sam Boyd Stadium. Dimel learned under Snyder during “The Miracle in Manhattan,” as Kansas State rose from the nation’s worst program to a national power. After 10 seasons as an assistant, including the final two as offensive coordinator, Dimel became the country’s youngest coach when he took over Wyoming in 1997 at 34. The Cowboys were briefly ranked No. 25 in The Associated Press’ poll late in the 1998 season, and Dimel went 22-13 in his three seasons. That success led to three seasons at Houston, where the Cougars went 3-19 his first two years. But Dimel had put together Conference USA’s best recruiting class both years, and in 2002, Houston began to win by going 5-7. A new athletic director, however, had thoughts of going in a different coaching direction, and Dimel was out. “All they’ve had is success since, so we felt like we were really laying a good groundwork to get that program turned around,” Dimel said. So Dimel got his master’s degree at Kansas State, worked as an assistant at Arizona from 2006 to 2008 and returned to the Wildcats in 2009 as co-offensive coordinator. He also got to watch his son and daughter grow up without the family being under the glare that comes with the title of head coach. But the memories of how Houston ended stuck with Dimel. Now 55, Dimel can use his experience at Kansas State, Wyoming and Houston to help him build the Miners. 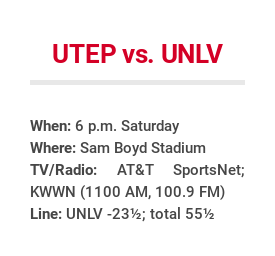 Saturday’s season opener proved what a difficult task lies ahead with UTEP losing 30-10 at home to Northern Arizona. The Miners have lost 13 games in a row, the nation’s longest skid. Kansas State turned around because Snyder and his staff sought overlooked recruits who could become good players. It’s the philosophy Dimel has carried with him throughout his career. “It is recruiting, but it really falls under the label of evaluation,” Dimel said. “You’ve got to do a really good job of finding the diamonds in the rough. That’s what’s going to be important for us here at UTEP is that we find the good players and not worry about who is recruiting them or who is not recruiting them. That’s hard for coaches to do sometimes.